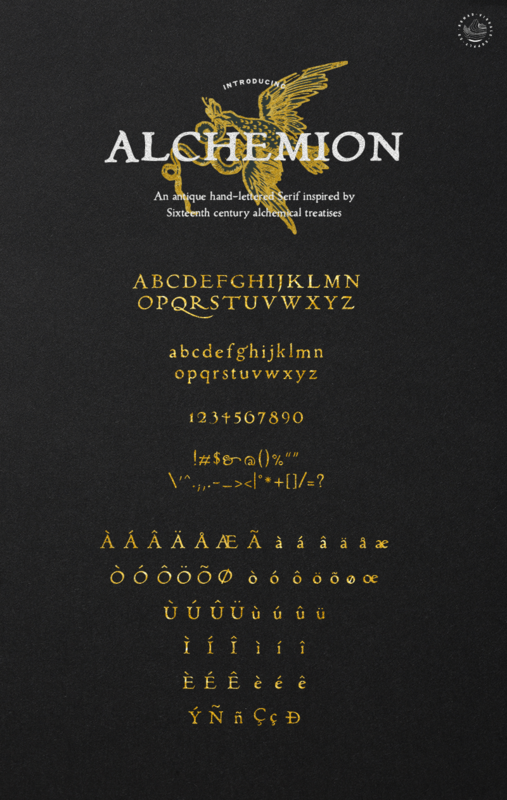 Alchemion is an antique hand-lettered display serif font based on Sixteenth century alchemical treatises. Dive in the fascinating look and feel of centuries old books! This font looks amazing for logo design, invitations and labels. It's perfect to give a unique vibe to your digital products and websites.